Many years ago, a few people who loved rivers asked this question. Once they did, some big things started to happen. Since our founding in 1993, the River Alliance has frequently asked that question. It excited some people, angered others, ignited fierce debates, sparked innovative research and inspired local folks to get involved. Ultimately, that question has set scores of rivers free. Now we bring the benefit of years of experience with dam removal to others who may face the question of what to do with an aging dam in their community. Along the way, we’ve stimulated informed debate about the option of dam removal. Peruse our extensive library below. There’s still a lot of work to do to protect and restore our rivers and streams in this state, but River Alliance is proud of the role we’ve played in restoring rivers through dam removal. Co-authored by the River Alliance of Wisconsin and Trout Unlimited. This guide, the first in the nation, was written for citizen river advocates to help develop campaigns around dam removal for their local rivers. Over 5000 copies of the Citizens’ Guide have been sold in over 12 nations. This 22-minute video is meant to inform dam owners, local businesses, public officials, resource agencies, and other concerned community members about the benefits of dam removal as a river restoration tool. 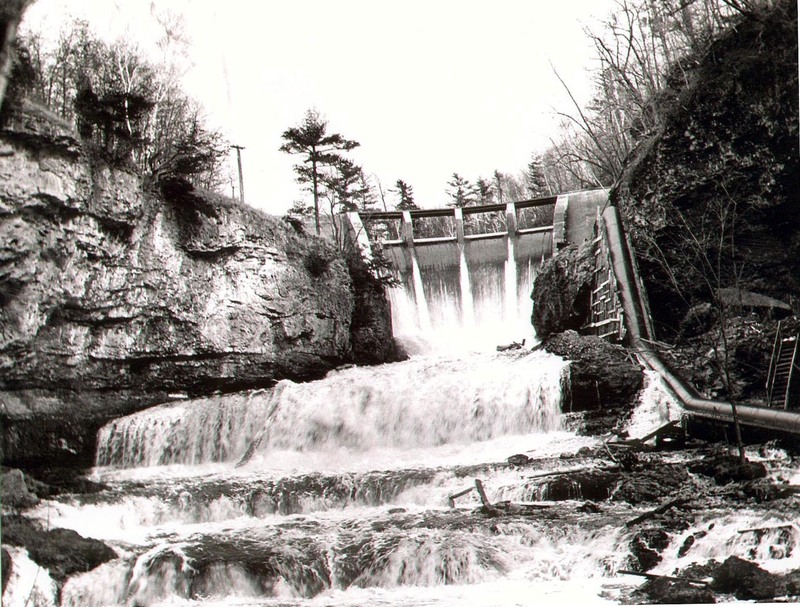 Where Have Dams Been Removed in Wisconsin? River Alliance worked with the Google Maps feature to create a map of locations where dams have been intentionally removed in Wisconsin and attaches relevant photos, reports, factsheets and video. It’s true that a picture is worth a thousand words, so here are many thousands of words’ worth of before/after images of dam removals in Wisconsin. Sometimes the best way to help people imagine what an area would look like without a dam and flowage in place is to create a photo simulation of it. Here are two examples of sites where we commissioned a photo simulation at and where the dam was ultimately removed. 2. Big Spring Dam, Town of New Haven: here and here. What Would the Water Say?